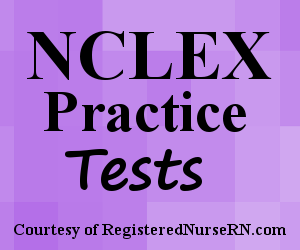 This is a quiz that contains NCLEX review questions for pancreatitis (acute and chronic). As a nurse providing care to a patient with pancreatitis, it is important to know the signs and symptoms, pathophysiology, nursing management, diet education, and complications. This quiz will test your knowledge on acute and chronic pancreatitis in preparation for the NCLEX exam. A. A 25 year old female with a family history of gallstones. B. A 35 year old male who reports social drinking of alcohol. C. A 15 year old female with cystic fibrosis. D. A 66 year old female with stomach cancer. A. "It will be hard but I will eat a diet low in fat and avoid greasy foods." B. "It is very important I limit my alcohol intake to no more than 2-3 glasses of wine a week." C. "I will concentrate on eating complex carbohydrates rather than refined carbohydrates." D. "I will purchase foods that are high in protein." 1. Inside the pancreas are special cells that secrete digestive enzymes and hormones. The cells that secrete digestive enzymes are known as ______________ cells. 2. From the pancreas and gallbladder, the common bile duct and pancreatic duct open into the ____________ where digestive enzymes and bile flow through the duodenum via the major duodenal papilla which is surrounded by a muscular valve that controls the release of digestive enzymes known as the ______________. 5. Which patient below is at MOST risk for CHRONIC pancreatitis? 7. A patient is admitted to the ER with the following signs and symptoms: very painful mid-epigastric pain felt in the back, elevated glucose, fever, and vomiting. During the head-to-toe assessment, you notice bluish discoloration around the belly button. As the nurse, you know this is called? 9. A patient with acute pancreatitis is reporting excessive thirst, excessive voiding, and blurred vision. As the nurse, it is priority you? 10. A patient who received treatment for pancreatitis is being discharged home. You’re providing diet teaching to the patient. Which statement by the patient requires immediate re-education about the diet restrictions? 11. The physician orders a patient with pancreatitis to take a pancreatic enzyme. What assessment finding demonstrates the pancreatic enzymes are working properly? 12. During a home health visit, you are assessing how a patient takes the prescribed pancreatic enzyme. The patient is unable to swallow the capsule whole, so they open the capsule and mix the beads inside the capsule with food/drink. Which food or drink is safe for the patient to mix the beads with?